From the creator of the bestselling Griffin & Sabine series comes a visual epistolary puzzle posed by a mysterious character named Magnus Berlin. Readers must study Berlin's introductory note, list of clues, and 16 multifaceted notes and envelopes to decode cryptic anagrams, picturegrams, number puzzles, and wordplay. When solved, each clue reveals one word—but the rest remains a mystery. Nick Bantock is most recognized for the phenomenal Griffin & Sabine series. Also an artist, his work is publicly and privately collected across the globe. He lives in Victoria, Canada. 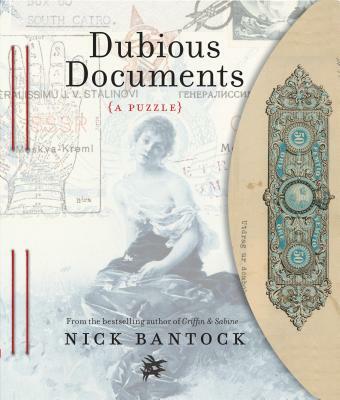 "Dubious Documents is a no-brainer for puzzle lovers. It's gorgeous and interesting visually, and the puzzles and backstory are intriguing, to say the least. Author Nick Bantock has done it again. Plus, it's made me want to get all of his other work as well."